April 2018 - Intermarkets Inc.
At this year’s Programmatic I/O, organized by AdExchanger, innovators and thought leaders from across our industry shared their perspectives and insights on trends, challenges, and ideas that will continue to change the marketplace. Two days, 6 agendas, and more than 100 speakers shared ideas, challenges, and outlooks with over 1,200 attendees in 50+ carefully crafted sessions. AdExchanger’s Programmatic I/O delivered a full payload of all things digital — transparency, programmatic waste, data usage, and more. On Twitter, #progio lit up with all the best bits from the numerous sessions. Our own Erik Requidan had an opportunity to speak about Demand Path Optimization (DPO), a topic he’s influenced since inception. DPO explores efficiencies that bring supply closer to brands that control buying inhouse. The idea is to reduce the layers in the buying process, increasing transparency and emphasizing the importance of safety and quality media. Other sessions called out important points like the top priorities among programmatic buyers. Better targeting, effectiveness of media, and transparency ranked highest, and we’ve seen proof of that in transactions and deal structuring in the space. 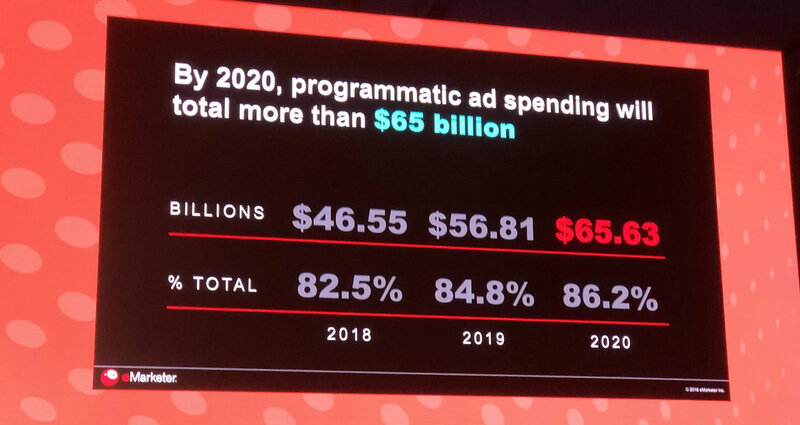 By the year 2020, spending through programmatic is estimated to exceed $65 billion. Events such as Programmatic I/O and others like it are critical for our industry to stay in sync with trends to move toward a better, more efficient process to deliver value and success from marketers all the way back to publishers.